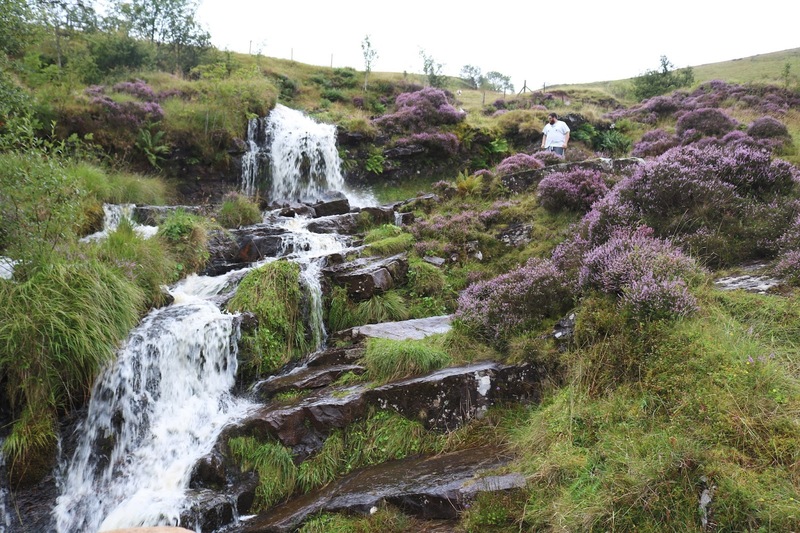 In August my boyfriend, James, and I went camping in the Brecon Beacons, Wales. We went for a long weekend, staying Friday night through to Monday morning. We stayed at Grawen Caravan and Camping site, where we pitched a six-person tent on the Friday and made our home for the next three days. *Unfortunately, I didn’t take any ‘tent tour’ shots so I’ll just go on to show you what we got up to in the land of Wales. Our first day was spent waking up before dawn and setting off for our destination a little after four am. Our journey was filled with Spotify playlists, podcasts, and tired ramblings accompanied by long silences. We crossed the Severn Bridge a couple hours later and quickly found ourselves in Merthyr Tydfil, a short drive from our campsite. I’m going, to be honest, our first day was mostly us getting things together like food, fire wood and setting up for our first night. It also included me napping (something that is unheard of). We spent our first evening checking out a waterfall, wandering around Brecon in torrential rain and then ducking into a quaint, local pub for some dinner; where we quite possibly ate the best pub food I have ever had. We had hoped to later make a fire that night, however, I was far too tired and the weather too damp; so we simply called it a night.